Monitor any parameter you collect, no matter where it has been collected. Store water quality data from manually or automatically collected spot samples, including continuously collected samples such as those from auto-samplers. Easily import results from laboratory analyses as well. Gain a more holistic understanding of your monitoring, protection, and restoration efforts. This option allows users to organize and directly link water quality data and hydrological information, for example nutrient load calculations, in a relational database. 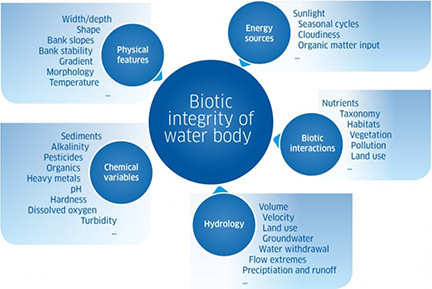 Subsequently, water management professionals are able to focus on the improvement of improve aquatic ecosystems with the support of high-integrity quantitative data supported by KISTERS. Create time series graphs, bar charts, tables and more visual aids for presentations and reports. Conveniently navigate the system by map, explorer / tree view, or tables. Gain clarity and better understand your discrete water quality sample data. © 2019 KISTERS North America, Inc.